The first is one of the many, many things one can do with Kool-Aid. I feel like they should sell Kool-Aid at Michael's rather than at a grocery store, since I'd really never want Willow to drink the stuff, but it is fun to play with. We emptied a packet each into a glass jar and set it out on the porch in the rain. Which is to say, you might want to save this project for a really rainy day, unless you want to wait for hours and hours. Ours were full enough to paint with after only an hour. It's been that sort of weather. Less artsy, and more science-y, we made rain in a jar. I loved this one. We talk all the time about how rain forms, but here Willow got to actually see precisely how it works. 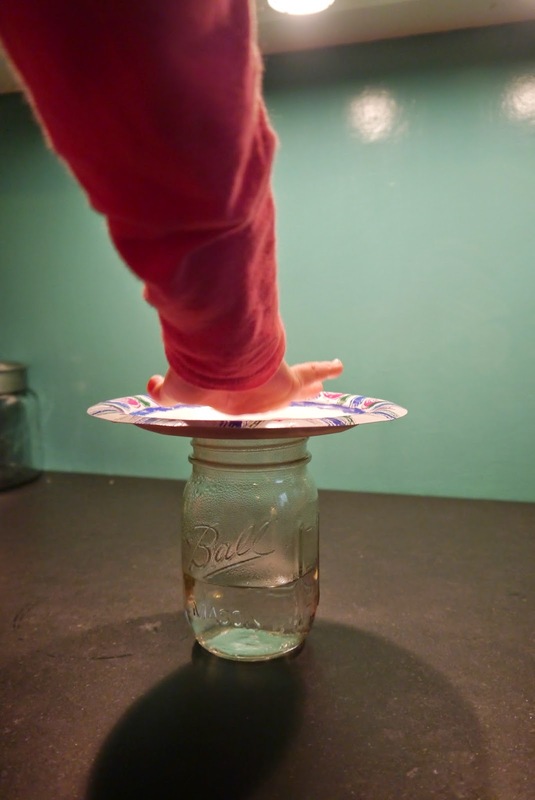 You pour boiling hot water into a jar and cover it with a paper plate. It steams up, making a "cloud." Then you lower the temperature in the jar/atmosphere by placing ice cubes on top of the plate, and voila--the cloud condenses, and raindrops form. 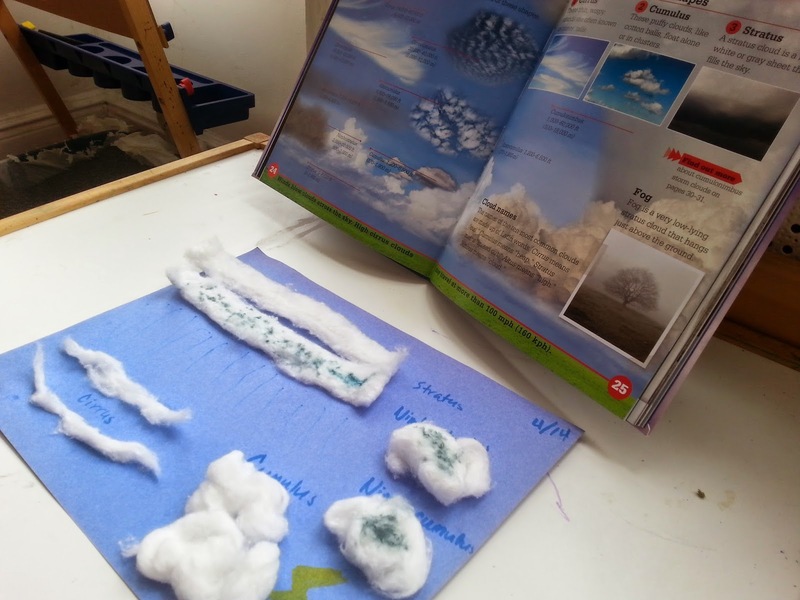 For more on clouds, we read about the types of clouds and then made a chart of them using cotton balls. That one might be a little more school-ish than most activities we do, but Willow was really into it. 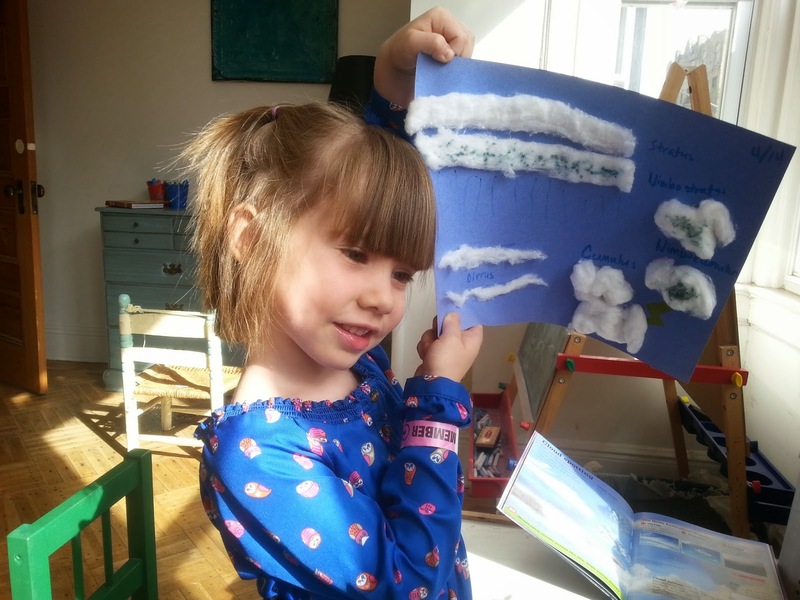 And now she loves pointing out all the different kinds of clouds she sees in the sky.